The Ministry of Home Affairs has issued a smokescreen tender advert for the printing of e-passports, in a corruption ridden transaction where the contract has already been given to a Belgian company Semlex closely connected to home affairs minter Stephen Kampyongo and state house aide Kaiser Zulu. According to the Mast, the ministry is in the process of soliciting competing proposals for the supply, delivery and installation of the state-of-the-art equipment to issue electronic passports to eligible citizens and replace the current machines readable passports. According to a Ministry of Home Affairs public private partnership tender request No. 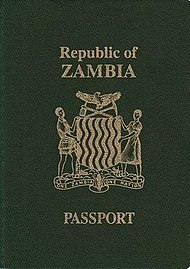 MHA/ORD/NCS/01/2018:technical and financial proposals for the the e-passports production through a public private partnership signed by Dr. Mulenga Chileshe the general nature of the unsolicited proposal identifies the possibility of supplying equipment for the management of a new biometric electronic passport for Zambia.